Your cat doesn’t love you. That’s the headline which has resulted from what I am confident are mistaken conclusions in the media, which have spread like a virus as a response to research on the attachment or bond cats have to their people, studied by Dr, Daniel Mills, professor of veterinary behavioural medicine University of Lincoln in the United Kingdom. So you know, Mills is a friend of cats, and a recognized and renowned scientist of animal behaviour, authoring many scientific papers and contributing to many behavior books.Though, I most certainly don’t agree with his results – as I explain below. 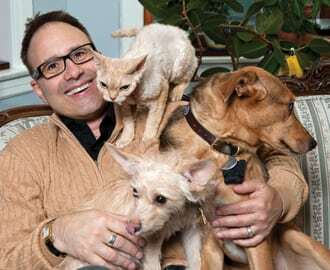 Mills says he was interesting defining and characterizing the relationship and attachment cats have with their owners, perhaps compared to dogs. Is that bond or attachment different? There’s no question,many cat owners invest a lot in the relationship, but do cats invest is us too? Mills’ team adapted a famous experiment idea from the 1970’s which studied the attachment of young children to their parents. With mom sitting in a chair in the room, the child toddles off to explore. What happens when mom is suddenly discovered gone, and only a stranger is sitting there? What does the child do? And how does the child greet mom, when she returns to the room? This is how experimenters measured attachment. Mills reproduced the same experiment using dogs. And the results were about the same is with the toddlers. The toddlers explored the room, but returned to mom for reassurance, the same with dogs. And toddlers crawled to re-appearing mom as fast as possible. Dogs did about the same, high-tailing to the returning owner – we all know how dogs respond when we appear. No surprise. In dogs and in children, they see the returning caretaker (owner or mom) as a source of comfort. In the video segment here – the ONE cat isn’t using the owner as a point of reference, but is instead going up to the stranger. Is that a sign of less attachment? And secondly, when the owner returns after an absence, the cat doesn’t seem to pay attention. Mills says cats don’t have a secure attachment-style relationship with their owners, at least based on their studies so far. Do cats really need us? Do cats really love us back? HERE ARE MY COMMENTS: A fundamental problem is the way which Mills is measuring cats. While cats are social, they are different than dogs or people in how they express themselves. 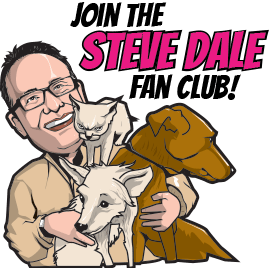 Let’s begin with the stranger in the room who sits and does nothing….in the dog/people world that’s a signal which discourages engagement, so it’s no surprise that dogs and people don’t interact with that stranger . In cats that person who does nothing – just sits there – seems a safer bet to greet than a more effusive stranger who wants to say ‘hi.’. Let’s say you invite 10 people for a dinner party, all love cats and want to play with them, except for Aunt Gertie. You bet, most cats will choose Aunt Gertie to check out first….Cats want to feel in control, and therefore safe, and that is more likely with someone (whether it be a person, a dog, sometimes even another cat) who acts somewhat indifferent. While it does take a cat with some confidence to approach a stranger in the setting of Mills’ experiment room – I wonder if that stranger began to interact with the cats, reach out to pet the cats, and talk to them if results would be the same? I doubt it. In ‘cat language,’ that person sitting there, seemingly oblivious to the world, may be a ‘turn off’ to dogs or people, but is a ‘turn on’ to cats. When the cats’ owners reappear how does Mills measure attachment? First, I just don’t believe that some cats don’t run to the door when their person reappears. Perhaps, cats in the UK are different than those I know in the states. Ask any veterinarian about how most cats respond to strangers (veterinarians, technicians, etc) compared to respond to their owners. Also, a huge greeting from a cat can be VERY different than a greeting from a person or a dog. Yet, it is every bit as enthusiastic a greeting. Some cats will run right past the door the person they know has entered to a safe elevated place like a cat tree (none provided in this experiment room). A huge greeting may be to scratch on a post with the cat’s scent already established – no such option is available in this room. In both cases, cat behaviorists would likely agree the cat is expressing joy, and certainly is doing something different (and I suggest Mills would agree), though not directly greeting their person at the door as a dog or person might. It seems Mills is greatly measuring the way people or dogs may respond to define attachment. Perhaps that definition should vary depending on the species. Do cats really love us back? Are they really attached to as dogs are? I say absolutely – just different, not more, not less – but certainly more on their own terms.